Emmerson Resources Limited (ASX:ERM) announces accelerated Mining and Gold Production. 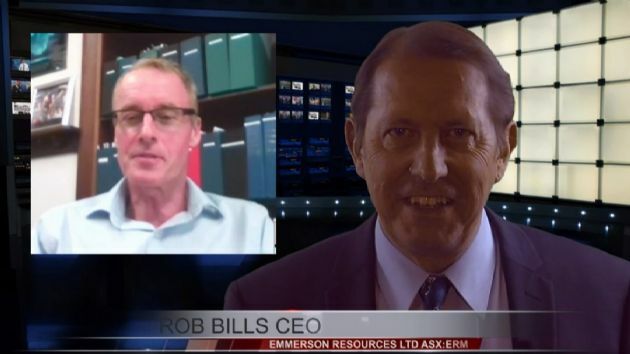 Emmerson Resources Limited (ASX:ERM) (OTCMKTS:EMMRF) provides the opportunity to view a video interview by ProactiveInvestors Stocktube with Rob Bills, Managing Director. Emmerson Resources Limited (ASX:ERM) (OTCMKTS:EMMRF) announces encouraging copper and gold geochemistry expands the Whatling Hill Project in NSW. 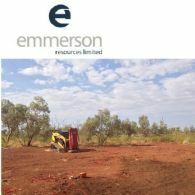 Emmerson Resources Limited (ASX:ERM) (OTCMKTS:EMMRF) is pleased to announce that it has established an Unmarketable Parcel sale facility for holders of less than a marketable parcel. The Facility is being established in accordance with the Company&apos;s constitution and the ASX Listing Rules. Emmerson Resources Limited (ASX:ERM) (OTCMKTS:EMMRF) provides the Company&apos;s AGM Presentation. 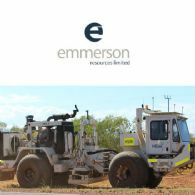 Emmerson Resources Limited (ASX:ERM) (OTCMKTS:EMMRF) announces drilling to commence in Tennant Creek. Emmerson Resources Limited (ASX:ERM) (OTCMKTS:EMMRF) provides the Company&apos;s Quarterly Activities Report for the period ending 30 September 2018. Emmerson Resources Limited (ASX:ERM) (OTCMKTS:EMMRF) announces NSW Exploration Update. 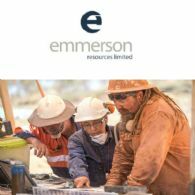 Emmerson Resources Limited (ASX:ERM) (OTCMKTS:EMMRF) provides the Company&apos;s Annual Report. Emmerson Resources Limited (ASX:ERM) (OTCMKTS:EMMRF) provides the Company&apos;s latest presentation at Precious Metals Summit. 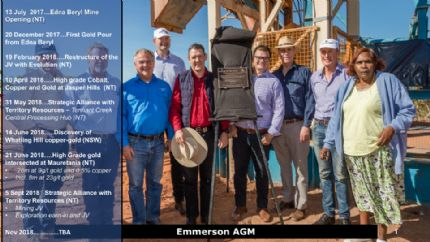 Emmerson (ASX:ERM) (OTCMKTS:EMMRF) secures Strategic Alliance with TRL Tennant Creek Pty Ltd (a subsidiary of Territory Resources Ltd) that includes a Mining and Exploration Joint Venture covering the Southern Project Area at Tennant Creek. Emmerson Resources Limited (ASX:ERM) (OTCMKTS:EMMRF) is pleased to announce highly encouraging copper and gold geochemical results over a 600m by 500m gridbased auger program. The grid covered previously reported copper and gold mineralisation from quartz stockwork magnetite veins within highly altered monzonite intrusives. Emmerson Resources Limited (ASX:ERM) (OTCMKTS:EMMRF) provides the Company&apos;s Quarterly Report for the period ending 30 June 2018. 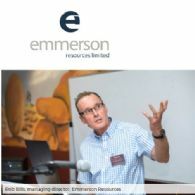 Emmerson Resources Limited (ASX:ERM) (OTCMKTS:EMMRF) provides the Company&apos;s latest Investor Update Presentation. 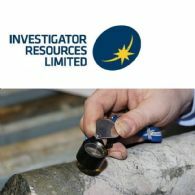 Investigator Resources Limited (ASX:IVR) is pleased to announce the appointment of Andrew McIlwain as a non-executive director of the board effective as of 20 June 2018. Emmerson (ASX:ERM) (OTCMKTS:EMMRF) is pleased to announce highly encouraging, drill results from Mauretania which provide additional geological and grade related information aimed at adding this project to our small to medium-sized mine portfolio. This portfolio is now the subject of detailed studies by Emmerson&apos;s Tennant Creek strategic alliance partner, Territory Resources. Emmerson Resources Limited (ASX:ERM) (OTCMKTS:EMMRF) is pleased to announce highly encouraging, early-stage results at the Whatling Hill prospect within the 100% owned Fifield project in NSW. This area falls within a regionally significant metallogenic province, bounded by the Lachlan Transfer Zone and the Ordovician age, Macquarie Arc. 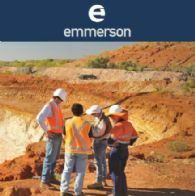 Emmerson Resources Limited (ASX:ERM) announce a strategic alliance with Territory Resources to build the Tennant Creek Processing Hub to support Small Mines. Emmerson Resources Limited (ASX:ERM) (OTCMKTS:EMMRF) is pleased to advise that the proposed restructure of the Tennant Creek Mineral Field Farm-In and Joint Venture Agreement with Evolution Mining Limited, (ASX:EVN) has been completed following a shareholder meeting to approve the restructure at a General Meeting on 18 May 2018. Emmerson Resources Limited (ASX:ERM) (OTCMKTS:EMMRF) provides the Company&apos;s Quarterly Activities Report for the period ending 31 March 2018. Emmerson Resources Limited (ASX:ERM) (OTCMKTS:EMMRF) is pleased to announce the commencement of exploration and the execution of an agreement with New Resolution Geophysics to fly their latest helicopter borne, time domain electromagnetic system. 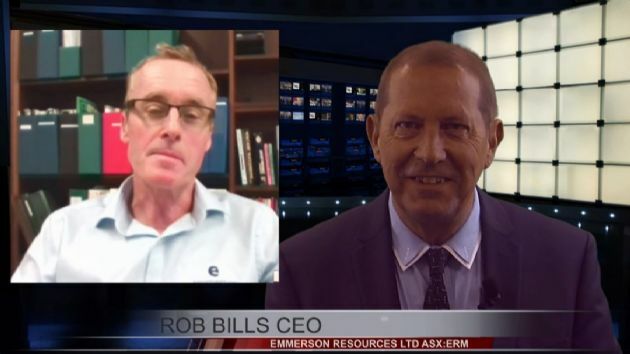 Emmerson Resources Limited (ASX:ERM) provides the opportunity to view a video interview by ProactiveInvestors Stocktube with Rob Bills, Managing Director. 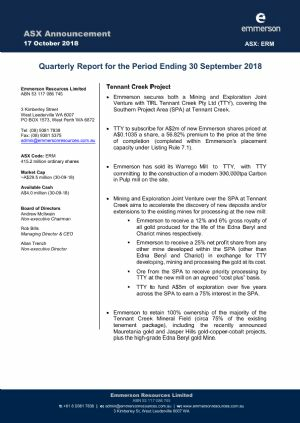 Emmerson Resources Limited (ASX:ERM) (OTCMKTS:EMMRF) is pleased to announce that a series of spectacular assay results has been returned from the Jasper Hills Project, located within the Northern Corridor of Emmerson&apos;s 100% owned Tennant Creek Project. As announced on 19 February 2018 Emmerson Resources Limited (ASX:ERM) (OTCMKTS:EMMRF) has agreed with Evolution Mining Limited (ASX:EVN) to restructure the Tennant Creek Mineral Field Farm-in and Joint Venture Agreement. Emmerson Resources Limited (ASX:ERM) (OTCMKTS:EMMRF) is pleased to announce that our first drill program for the 2018 season will commence in April (weather permitting). 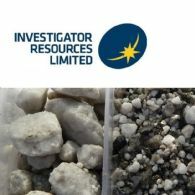 Emmerson Resources Limited (ASX:ERM) (OTCMKTS:EMMRF) provides the Company&apos;s Presentation at RIU Explorers Conference. This proposed restructure better aligns the assets with the respective companies. It provides Emmerson shareholders with near term, high margin gold assets and exploration ground that can be more easily developed within the constraints of the Emmerson balance sheet. 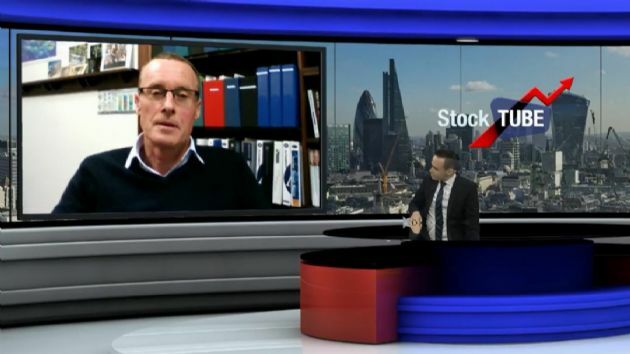 Emmerson Resources Ltd (ASX:ERM) MD Rob Bills talks with Tim Mckinnon about the first Gold pour from the Edna Beryl mine located North of Tennant Creek in the Northern Territory. Emmerson Resources Limited (ASX:ERM) (OTCMKTS:EMMRF) is pleased to announce the first gold pour from the Edna Beryl Mine in the Northern Territory. The gold comes from the 90m Level development drive and is covered under a Tribute Mining Agreement with the Edna Beryl Mining Company. Emmerson Resources Limited (ASX:ERM) (OTCMKTS:EMMRF) provides the Company&apos;s latest Precious Metals Investment Symposium Presentation. 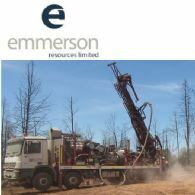 Emmerson Resources Limited (ASX:ERM) (OTCMKTS:EMMRF) provides the Company&apos;s Quarterly Activities Report for the period ending 30 September, 2017. Emmerson Resources Limited (ASX:ERM) (OTCMKTS:EMMRF) is pleased to announce that it has secured commitments to raise approximately $2 million (before costs) in a Placement to institutional and sophisticated investors. Emmerson Resources Ltd (ASX:EMR) attended and presented at the 2017 Beavor Creek Precious Metals Summit this week. Emmerson Resources Limited (ASX:ERM) (OTCMKTS:EMMRF) provides the Company&apos;s latest Investor Presentation. 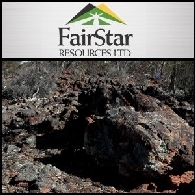 Emmerson Resources Limited (ASX:ERM) (OTCMKTS:EMMRF) is pleased to announce that the near mine and regional exploration programs completed at Edna Beryl within its 2,800km2 Tennant Creek project has discovered additional ironstones, some highly anomalous in both copper and gold. 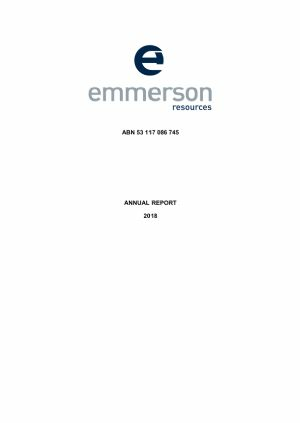 Emmerson Resources Limited (ASX:ERM) (OTCMKTS:EMMRF) provides the Company&apos;s 2017 Annual Report and Financial Statements. Emmerson Resources Limited (ASX:ERM) (OTCMKTS:EMMRF) is pleased to announce that the first deep diamond drill hole has intersected ironstone 4 at Edna Beryl within its Tennant Creek project in the Northern Territory. 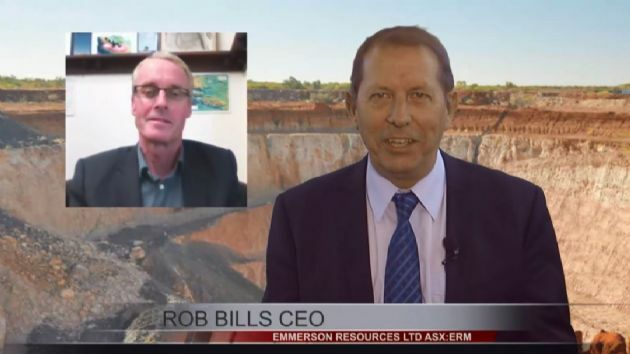 Emmerson Resources Ltd (ERM.AX) MD Rob Bills Speaks to ABN Newswire about the newly obtained mining approvals from the Northern Territory Government. Emmerson Resources Limited (ASX:ERM) (OTCMKTS:EMMRF) and partner Evolution Mining Limited (ASX:EVN) are pleased to announce that final approvals have been received from the Northern Territory Government for production to commence at the Edna Beryl Gold Mine. Emmerson Resources Limited (ASX:ERM) (OTCMKTS:EMMRF) is pleased to announce the commencement of a reverse circulation and diamond drill program at its 100% owned Tennant Creek project in the Northern Territory. These drill targets were generated from the application of an ultra-high resolution ground gravity survey completed earlier this year. 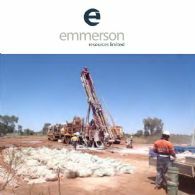 Emmerson Resources Limited (ASX:ERM) (OTCMKTS:EMMRF) is pleased to announce that great progress continues on our small mine strategy which aims to monetise a pipeline of small high-grade gold projects within Emmerson&apos;s Tennant Creek project in the Northern Territory. Emmerson Resources Limited (ASX:ERM) (OTCMKTS:EMMRF) is pleased to provide the Company&apos;s latest Presentation at RIU Sydney Resources Round-up. 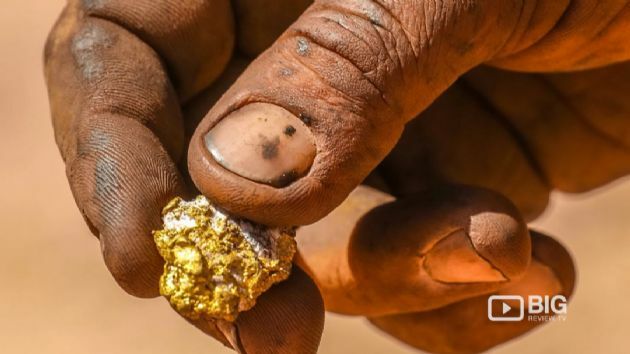 Emmerson Resources (ASX:ERM) (OTCMKTS:EMMRF) maintains a strategy of discovering a new generation of large, high grade gold deposits in Tennant Creek. Emmerson Resources Limited (ASX:ERM) (OTCMKTS:EMMRF) is pleased to provide the Company&apos;s Quarterly Activities Report for the period ending 31 March, 2017. 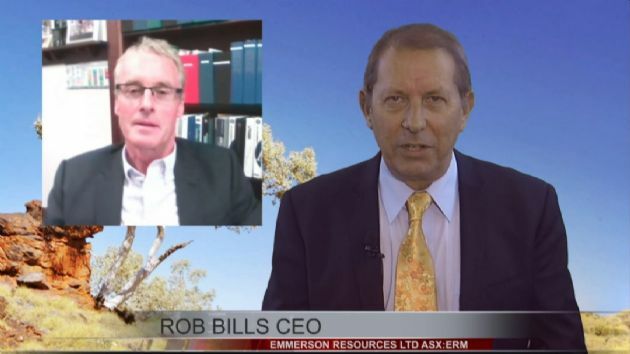 Emmerson Resources Ltd (ASX:ERM) CEO Rob Bills Talks to ABN Newswire about the proposed contribution of the NT Government to Mining Services at Tennant Creek and surrounding area. Emmerson Resources Limited (ASX:ERM) (OTCMKTS:EMMRF) is pleased to provide the Company&apos;s latest Presentation at RIU Explorers Conference. Emmerson Resources Limited (ASX:ERM) (OTCMKTS:EMMRF) is pleased to announce the last of the assay results from campaign 3 at Edna Beryl (completed in late 2016) that confirm the high-grade gold mineralisation in ironstone 1 continues at depth. Emmerson Resources Ltd (ASX:ERM) (OTCMKTS:EMMRF) (FRA:42E) CEO Interview with Rob Bills outlining the recent high grade gold discoveries and Joint Venture partnerships. Emmerson Resources Limited (ASX:ERM) (OTCMKTS:EMMRF) is pleased to announce further assays from the 6,500m drilling campaign at their Edna Beryl project in the Northern Territory of Australia. Both diamond and RC drilling has now been completed at Edna Beryl and weather permitting, the RC rig will move to the Retsina prospect. 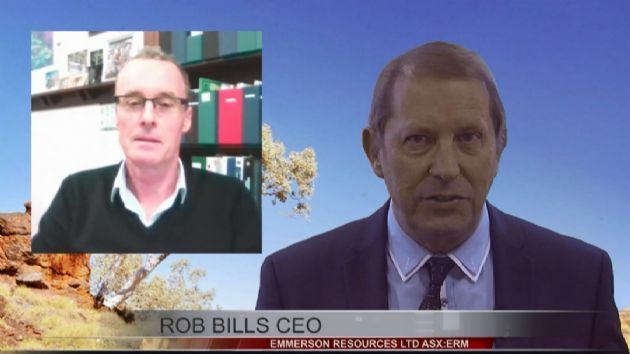 Emmerson Resources (ASX:ERM) (OTCMKTS:EMMRF) MD Rob Bills Talks High Grade Gold on Big Review TV. 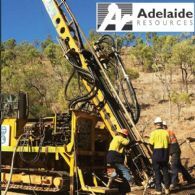 Adelaide Resources Limited (ASX:ADN) has executed a Heads of Agreement with Tennant Creek focussed explorer Emmerson Resources Limited to form the Rover Farm-in and Joint Venture over the Company&apos;s Rover copper gold project. Asian Activities Report for October 24, 2011 includes: Fairstar Resources Limited (ASX:FAS) has secured conditional approval for a A$300 million debt instrument for its Steeple Hill Iron Project in Western Australia; Korab Resources Limited (ASX:KOR) has intercepted approximately 163 metres of sulphides from the Batchelor Project in the Northern Territory; Syndicated Metals Limited (ASX:SMD) announces the maiden mineral resource estimates at the Blue Star and Green Zone deposits within the Company&apos;s Mount Remarkable Project in Northwest Queensland; Emmerson Resources Limited (ASX:ERM) announces an Indicated and Inferred JORC resource estimation of 50,800 tonnes of copper and 70,000 ounces of gold at the Gecko and Orlando copper/gold deposits in the Northern Territory.